If you say a prayer or cross your fingers before a deploy, then this is the screencast for you. Capistrano will help you create a proper deployment process instead of manually FTPing files which is an error prone method. You’ll learn how to automate your WordPress deployments and simplify it to a one command deploy process. 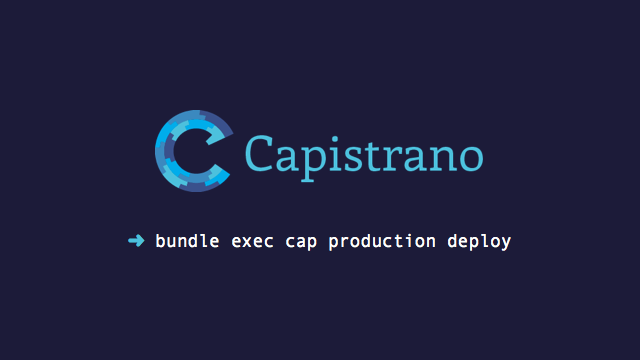 Using Capistrano you can make sure your deploys are: predictable, repeatable, automatable, reversible, and extensible. Just finished watching your Capistrano screencast and everything is really coming together for me now. Been worried that it was gonna be cumbersome (as the cowboy coder that I am) so I've been avoiding to read up on it. Super happy that you've given me these tools to progress my development skills. If I hadn't been a fan of Roots since long before I seriously doubt that I would ever leave the security and comfort of the ways I knew before. Thanks a lot for making me smile. The topics and tools in this screencast won't work unless you're deploying to a *nix based server that you have SSH and root access to. Don't expect to be able to use Capistrano to deploy to a shared host or a Windows server. This screencast also doesn't cover server setup such as configuring a web server, PHP, or installing programs like Node and Grunt. Some basic familiarity with server administration is probably needed before using a tool like this.